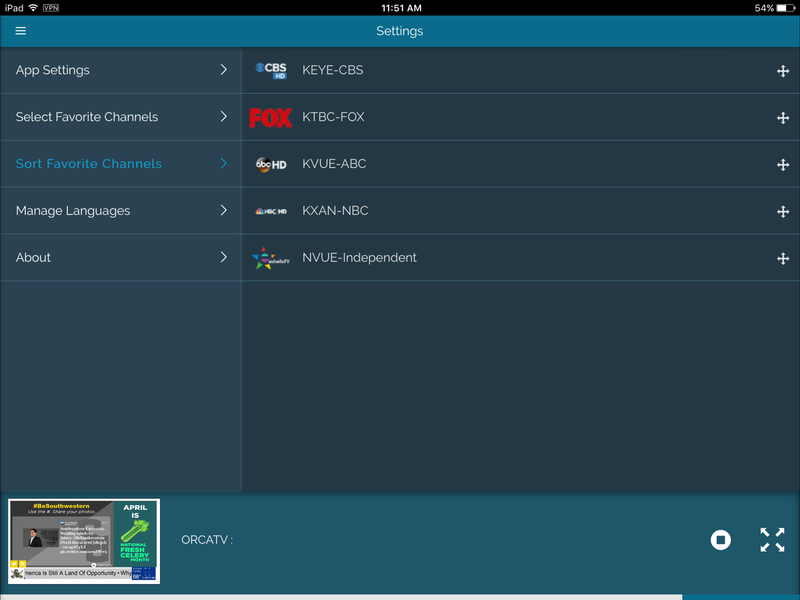 After installing and launching the app, you will be presented with the Electronic Program Guide (EPG). 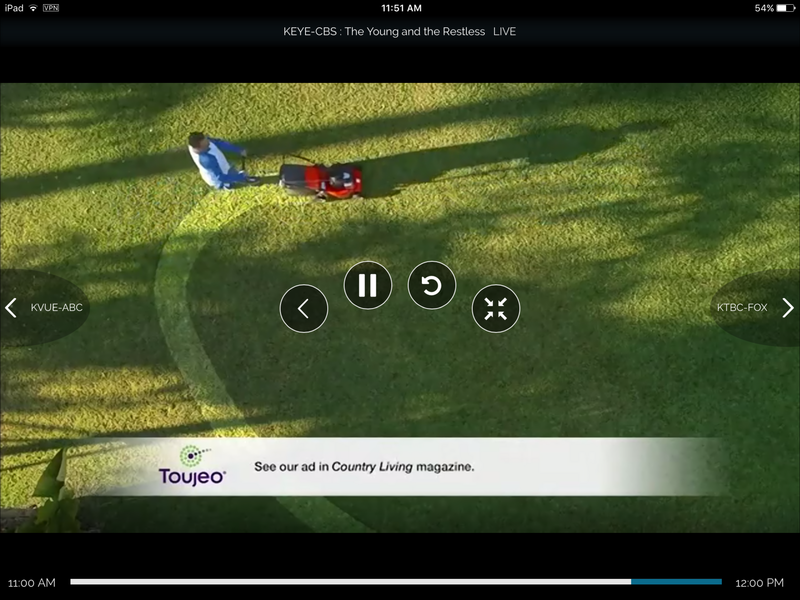 This is the interface for selecting channels and watching live TV. If you have used the app before, you may be presented with the last channel that you watched, instead of the EPG. 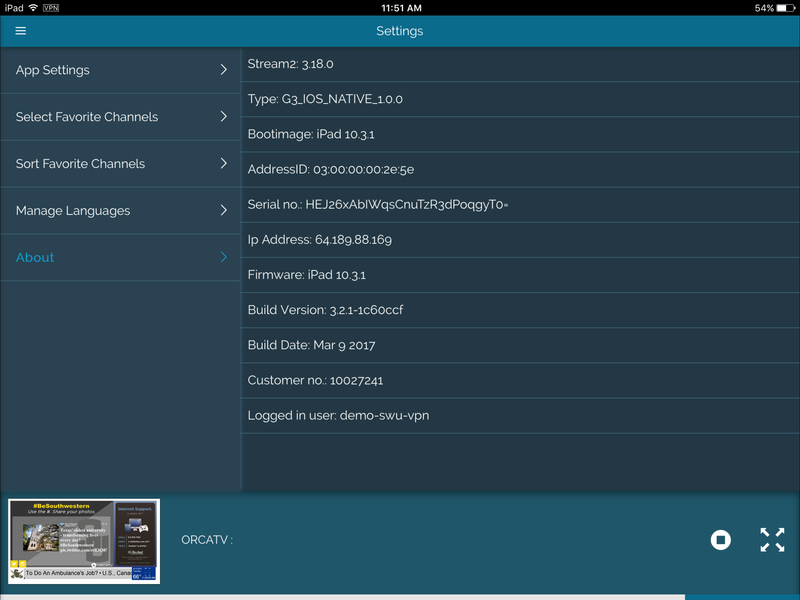 If you tap on the arrow to the right of any channel you are taken into programming view for that specific channel. Here you can see what's coming up next and what's previously aired. 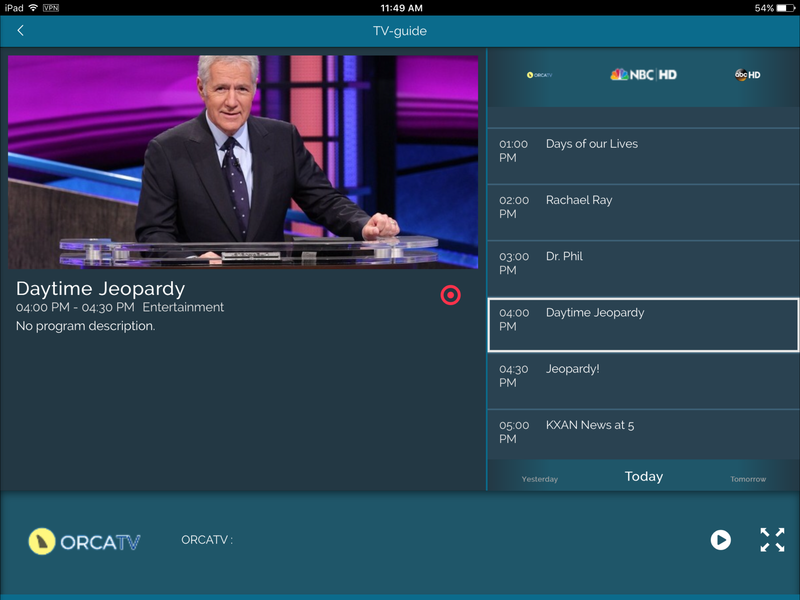 Favorites allow the user to prioritize the programs in the ‘TV Guide.’ You can select which channels appear as well as what order they appear in. The About screen is accessed from the main menu by tapping on Settings. This screen contains identifying information about the Stream2 App. This information may be requested if the user contacts Technical Support. 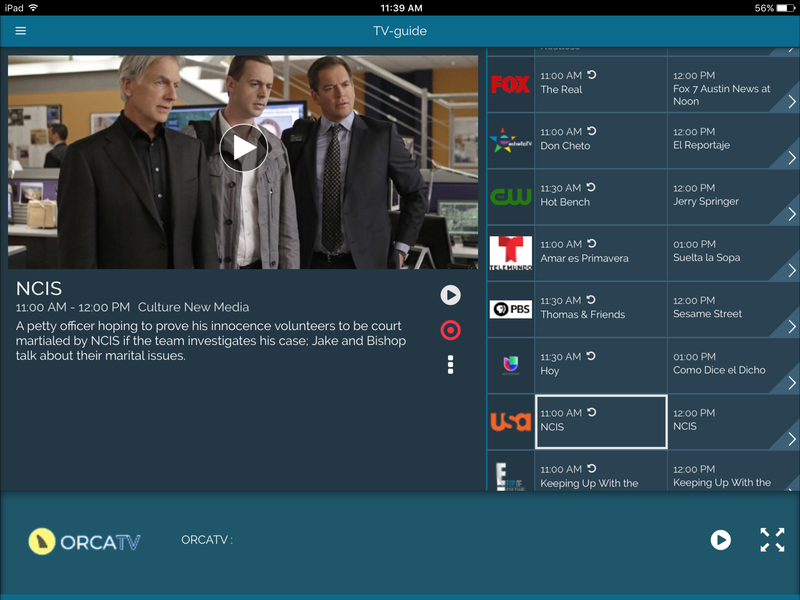 With Stream2 you can watch programming that has previously aired using catch up TV or record shows to watch later using the DVR function. With the timeshift feature you can pause live TV as well as start a program over from the beginning, fast forward and rewind.